Ready to get wet ‘n wild? 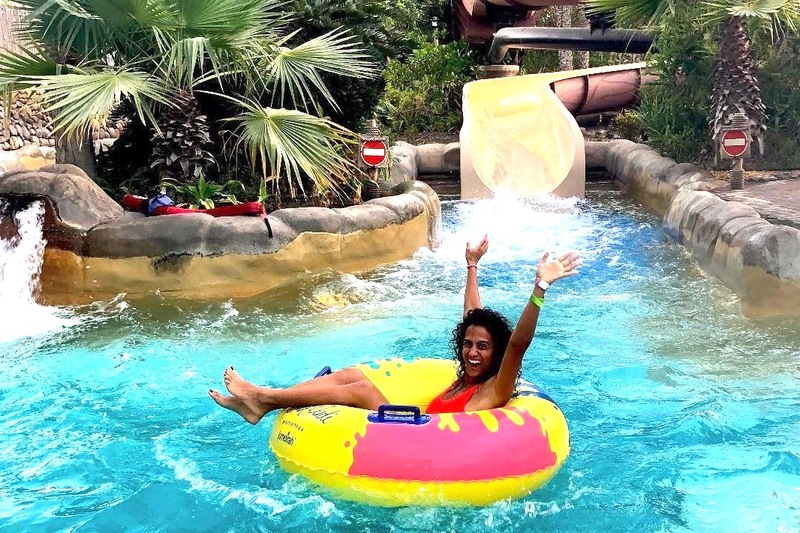 Wild Wadi has an awesome deal going on right now, where UAE residents can enter the park for a discounted fee of AED 141! The entry fee will also include a limited-edition flag-themed towel and a meal at one the restaurants. We’ve got a 4-day weekend coming up, which means there’s plenty of time for some pampering! Luckily for us, Shine Spa is offering major discounts on UAE National Day. On Sunday 2nd December, book any spa treatment and you’ll get 47% off the total price. Planning a trip to Dubai Parks & Resorts this weekend? In celebration of UAE National Day, when purchasing a ticket to any or the theme parks (Motiongate, Legoland, Legoland Waterpark) – you can get access to any other theme park for just AED 47! Planing a staycation this long weekend? Marriott Al Jaddaf has an offer you can’t refuse! In celebration of the UAE’s 47th National Day, the hotel is offering guests the chance to stay for just AED 47 a night! All you need to do is call them up to book your room – but hurry, there are only a limited number of rooms available. Calling all thrill seekers! IMG Worlds of Adventure has exciting offers on for both Emiratis and UAE residents this weekend. To celebrate UAE National Day, Emirati nationals can enjoy 47% off on general admission tickets, while UAE residents get AED 47 off. Fancy enjoying a free burrito? Round up your foodie friends and make your way to Taqado at Mercato Mall! On 2nd December, Taqado will be giving away 1,000 free burritos – but get there early because it’s first come first serve. If you haven’t checked out the spectacular La Perle by Dragone show yet – this is your chance! Don’t miss out on the awesome UAE National Day sale, with 47% off on all tickets! previousFireworks and FREE Entertainment at Dubai Festival City — this Weekend! next7 FREE Things to do in Dubai on Your Birthday!